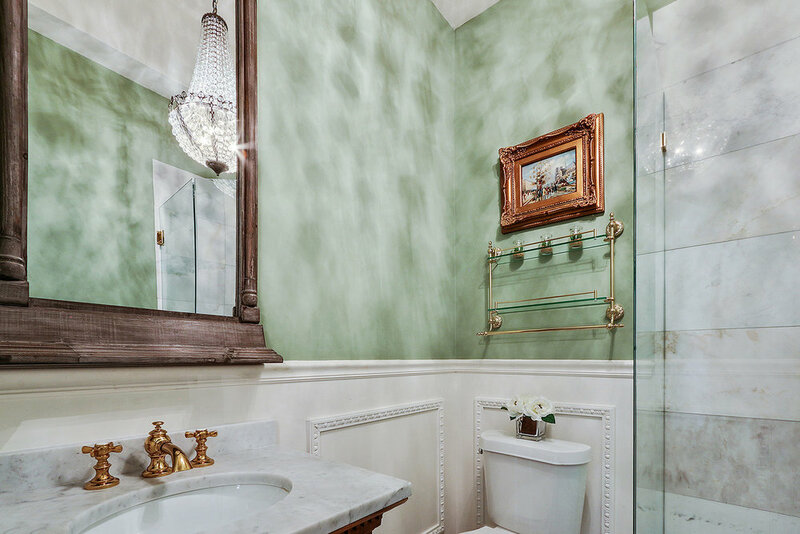 This luxurious Victorian unit is equipped with three beds and is adorned with a dazzling, crystal French chandelier that hangs from an 18-foot ceiling. 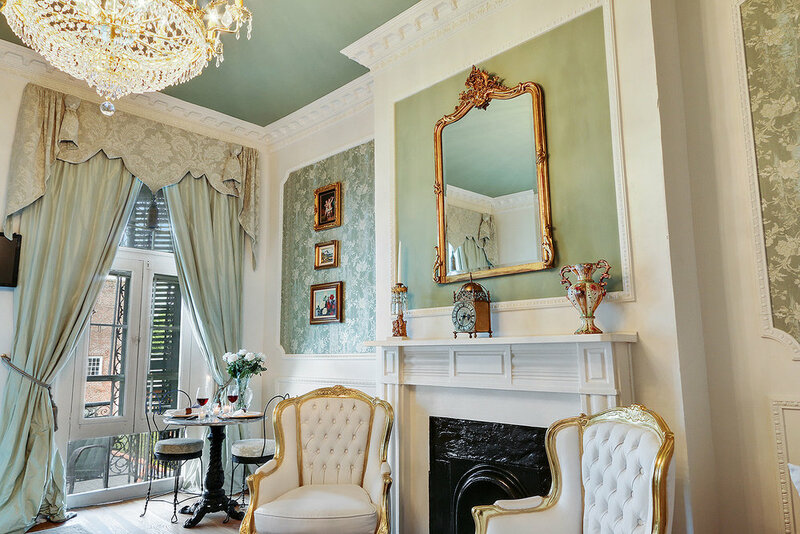 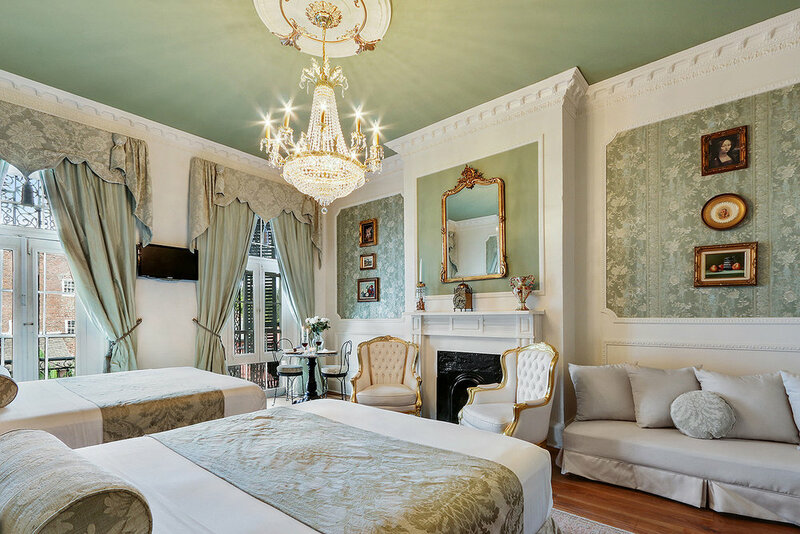 Dauphine #6 is also beautifully enriched with hardwood floors, a fireplace, bed crowns, silk drapes, and a marble bathroom that will take you back in time to the glory days of French opulence. 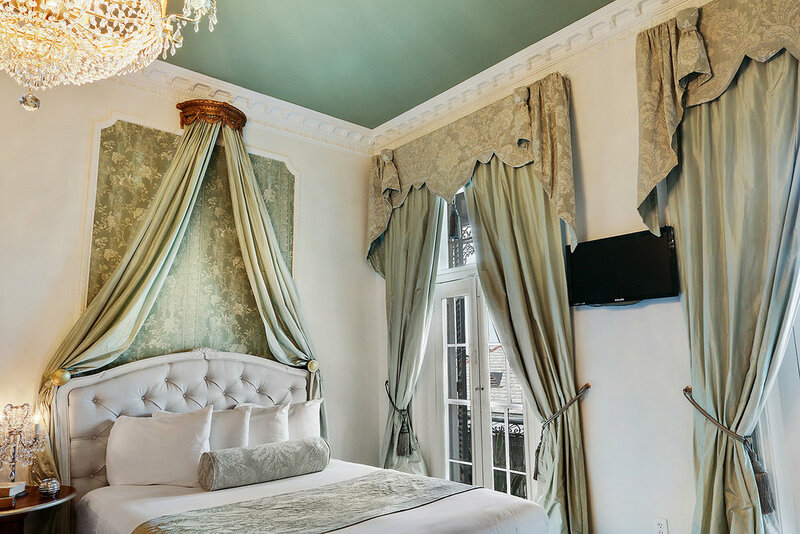 The Dauphine suite has access to an oversized balcony shared with Burgundy #7 that overlooks both Bourbon and Dumaine.